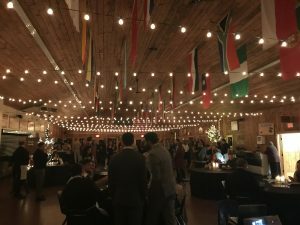 Roto Frank of America, Inc. sponsored and attended the third annual A Starry Night Gala, a benefit for Camp Hazen YMCA, located in Chester, CT. On Saturday, the Gala included a night of live music and dancing, silent auctions, food and drink, and more. This is Hazen’s only fundraising event and all proceeds directly help to keep the camp affordable for 900 children and teens who attend the summer programs with the help of financial assistance. Camp Hazen is one of New England’s most remarkable summer camps and outdoor education centers. They have been providing memorable experience for kids, families, and school groups for more than 90 years. Gina Lorenzetti, Roto Frank of America’s Marketing Communications Specialist, attended the event.